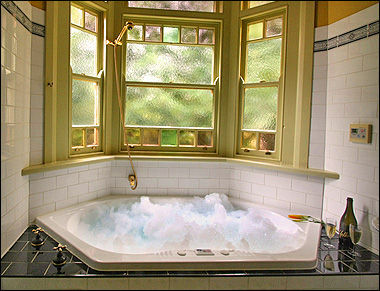 The Wentworth Spa Room is unique in that it has a private enclosed verandah to enjoy our spectacular views. 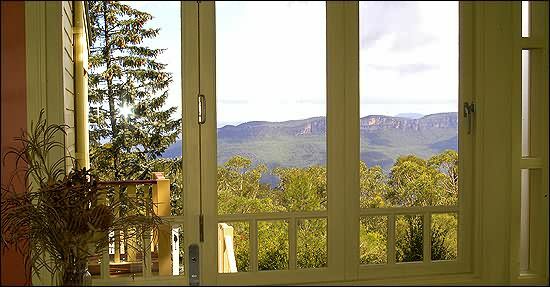 You are able to sit and enjoy the beauty of the Blue Mountains even on a cold winter's day. 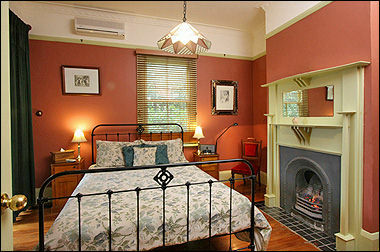 This room also features an open gas coal flame and a private ensuite with a 2-person spa. Click the icon above to view the Wentworth Spa Room floor plan.